Research and development for medicines has been surfing a new wave of innovation to belie long-running concerns about pipeline productivity. At the same time, the market-access environment in which this innovation bounty seeks commercial validation is all the more complex and demanding, as pressures build unrelentingly on healthcare systems. Among the brighter notes for the industry in 2018 was the continued dramatic resurgence in drug and biologic approvals at the US Food and Drug Administration. Last year saw a total of 59 novel drugs and biologics cleared by the agency’s Center for Drug Evaluation and Research (CDER), an all-time record. This was a distinct improvement on the CDER’s tally of 46 new drugs and biologics in 2017 and well above the Center’s 10-year average of 33 approvals per year. In 2016, only 22 novel products were given the green light. Nonetheless, getting a drug approved, even one that moves the needle therapeutically, is one thing. Getting prescribers to embrace it – and, more crucially, healthcare systems, insurers or their go-betweens to pay for it, and increasingly on the basis of demonstrable value – is something else. A new report from the IQVIA Institute for Human Data Science suggests that market-access issues will continue to dominate the landscape in the foreseeable future. It forecasts that global pharmaceutical market growth in the years to 2023 will be noticeably slower than the recent five-year average, delivering a compound annual growth rate of 3-6%. As we recently noted in our ’Top 6 Pharma Trends for 2019’, IQVIA was already warning last year that not only was sales growth for branded medicines flattening out in developed markets, it was also starting to falter in those emerging territories that have provided relief from tougher market-access conditions in the developed world. For all this, the pharmaceutical industry looks in better shape now than it has done for some time. One indicator was the latest edition of Drugs to Watch, an annual pharmaceutical industry forecast and analysis published by Clarivate Analytics. It predicted that by the end of 2018, 12 innovative new medicines would enter the pharmaceutical market with potential to achieve blockbuster status (annual sales of US$1 billion or more) within five years. This was a bigger crop of would-be blockbusters than in any year since the Drugs to Watch series started in 2013. To date, all 12 of these products have launched in the US and, in many cases, other major markets. As we point out in our ‘Guide to Launch Readiness in 2019’, that makes them key assets to keep an eye on as blockbuster dynamics and their impact on pharmaceutical market growth take shape during 2019. Research published by Decision Resources Group in autumn 2017 suggested that some 200 first-time pharmaceutical product launches would reach the major markets during 2017-2019, with around 14% of those products expected to make the blockbuster grade. 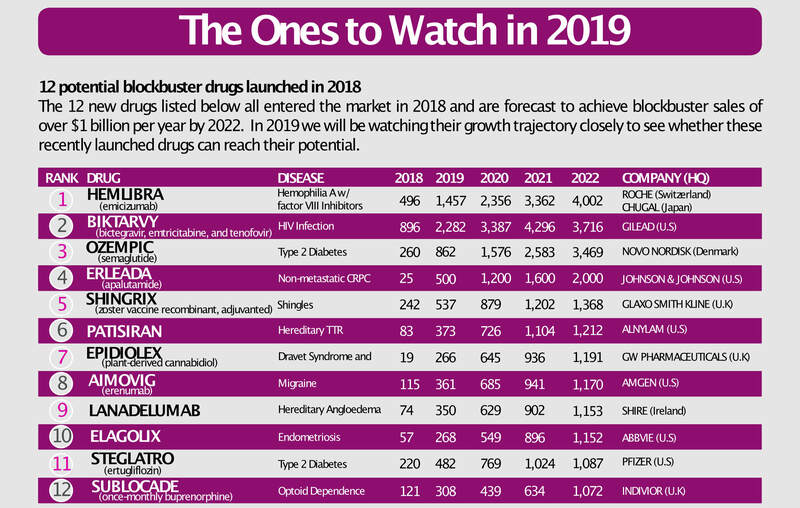 In our Guide to Launch Readiness in 2019, we also look at some of the most anticipated potential blockbusters set to make their market debut this year, offering new treatment options for conditions such as cancer, diabetes, depression and inflammatory diseases. If industry wants to reap the benefits of this new optimism, it must ensure that every new product launch hits the ground running. That means continuing to streamline and refine product launch tools, strategies and execution against a backdrop of scientific and technological innovation that has significantly raised the stakes for market access – from genomics and biological insights through to big data and analytics. In parallel, the pharmaceutical market has shifted from traditional large-volume blockbusters, powered by aggressive marketing and armies of sales representatives, towards more complex, narrowly targeted and often very expensive specialty medicines. These products demand a whole new skill sets from launch teams. Companies can no longer rely on face-to-face access to healthcare professionals. Communication channels have multiplied with digital media, while payers, health-technology assessors and other stakeholders exercise growing influence over product choice. With a new emphasis on speciality and orphan drugs, the focus is increasingly on high-level dialogue and key account management. Pharmaceutical product launches are on a smaller scale, yet there are more of them and in more rapid succession. This calls for a more streamlined, aligned and carefully targeted launch readiness process. In this climate, companies must be confident their product launch plan and implementation are laser-focused, aligned and co-ordinated at every stage, in every circumstance, and at every level of the organisation. Pharmaceuticals are increasingly networked, with more systematic referencing of pricing, reimbursement and health-technology assessment from market to market. If the launch of a new product falls short in one setting, the impact may be felt across national boundaries and throughout the value chain. Challenge #1: Building a consistent and transparent launch readiness framework that drives launch excellence. This new product launch framework must be understood, accepted and applied systematically throughout the organisation, and across products, indications and workstreams. It will pre-empt difficulties such as information lag, poor coordination, fragmentation of resources or lack of clarity over product launch steps, interdependencies, timelines, budgets and key performance indicators (KPIs). Sometimes this is about conquering bad habits. Many pharmaceutical companies still plan and track their launch activities using Microsoft Project and Excel spreadsheets. These products’ limitations can not only frustrate efforts to embed a consistent launch readiness framework across your organisation; they are also a barrier to alignment and collaboration across the workstreams and countries responsible for making launches a success. An effective launch readiness tool will ensure that your launch framework is embedded in the business to align efforts across countries and workstreams. Challenge #2: Ensuring launch team members are focused on strategic priorities rather than administrative distractions. Key members of the launch team also often become embroiled in time-consuming administrative distractions, such as chasing teams for status updates, manually collecting, processing and consolidating data, or preparing reports and presentations. State-of-the-art launch readiness software, such as SmartLaunch™, will streamline and automate these tasks, saving your team members time so that they can focus on strategy and executing the launch with excellence. Challenge #3: - Making sure that you have full visibility of status and timelines for launch activities across countries and workstreams. This is about ensuring global and country teams are fully aligned across functional silos, so that local implementation of global product launch strategy is optimised at all times. Delayed market entry is extremely expensive and can make a significant difference to market-share potential. Launch software that provides real-time visibility of timelines and status will keep those imperatives in mind. All internal stakeholders should be on the same page about launch progress from market to market, regardless of national boundaries, functional silos or positions within the organisation. The launch challenges outlined above will only intensify in years to come. To make sure that new products reach full potential wherever they are launched, pharmaceutical companies must embrace digital technologies that bring launch readiness into focus for all internal stakeholders at the touch of a keyboard or keypad. 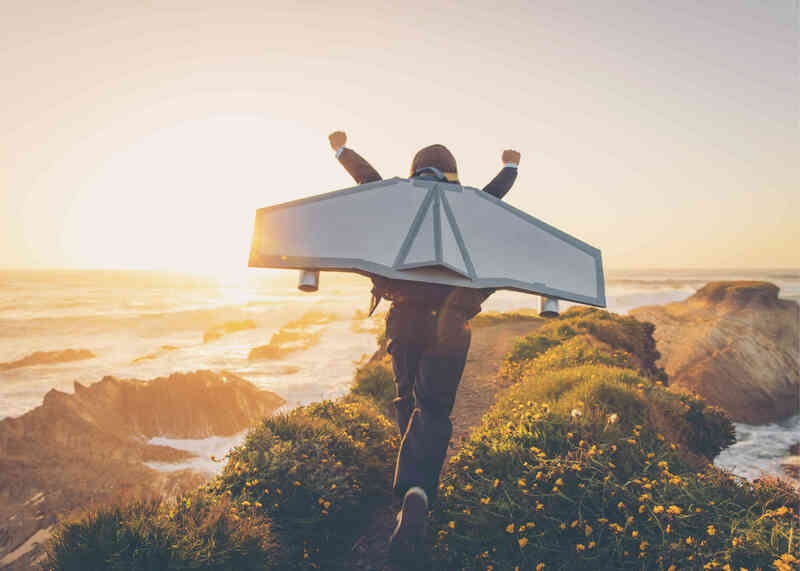 To help you assess your own organisation’s readiness to overcome key launch challenges in this increasingly demanding environment, we have put together a revised guide. It sets out what you need to think about, and more importantly set in motion, if you want to stay ahead in a pharmaceutical market where returning optimism about innovation and R&D productivity needs to be vindicated by a full-blooded commitment to launch excellence. TRiBECA® Knowledge provides pioneering software to some of the world’s leading pharmaceutical companies, to help them make the most of launch, market access and tendering operations. With our SmartLaunch™ platform, companies can optimise launch readiness in pharma by enhancing visibility, alignment, transparency and collaboration across products, management layers, workstreams and countries worldwide.